You are probably spending a lot on marketing your event but few are showing up. It’s because people need to be reminded in these busy times and what better way than using their smartphones and a Calendar QR Code. 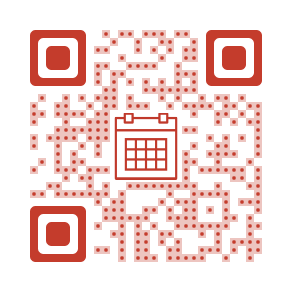 A Calendar Event QR Code allows your audience to add and save a calendar event on their smartphones. If you are organising an event and want your audience to save the event onto their calendars, then this is the QR Code that you want to create. This is just like other types of QR Codes (such as Website URL, Social Media, and Rich Text) that make it easy for people to take an action. How do I create a Calendar QR Code? 1. Go to the Calendar QR Code Generator. 2. Enter the relevant details of the event and click on Create QR Code. 3. Your Calendar QR Code has been generated and you have three design options to choose from – standard black & white, fancy with custom logo, and fancy with custom background. Click on Customize to edit any design or simply click on Download. 4. Note you will need to sign up for a free trial account so that you can save and download your QR Code. 5. To view and download your QR Code in the future, find the QR Code in the Campaign Manager (from the left sidebar) under the relevant campaign. Note that a calendar QR Code is static in nature. This means the content encoded can’t be changed once the QR Code has been generated.